On November 2, 2017, FACL BC (Federation of Asian Canadian Lawyers) hosted their Annual Gala at the Vancouver Convention Centre. 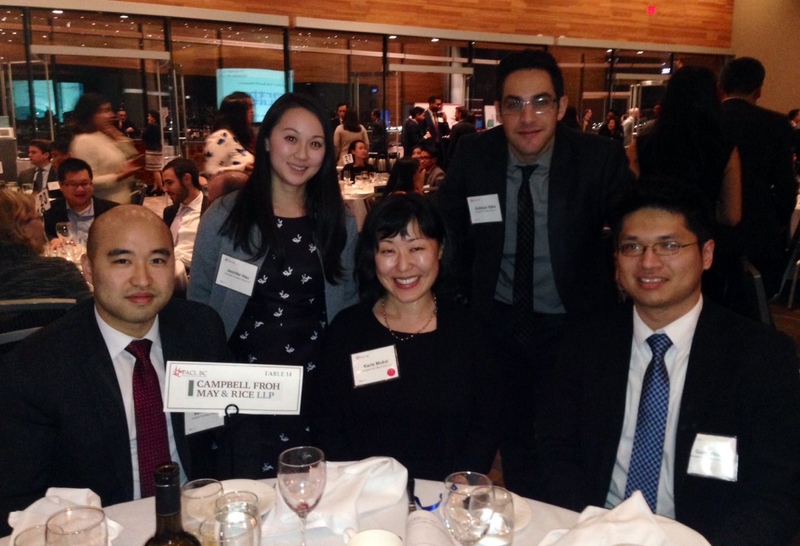 CFMR lawyers and articling students in attendance were Karla Mukai, Esteban Kähs, Samuel Suk, Gary Hou, and Jennifer Hau. This year, among many speakers at the event, we heard former Vancouver Police Department chief, Jim Chu, speak about his inspirational journey as a visible minority in the Vancouver Police Department working his way to becoming the chief of the department. CFMR lawyers enjoy FACL Gala. L to R: Samuel Suk, Jennifer Hau, Karla Mukai, Esteban Kähs, and Gary Hou.